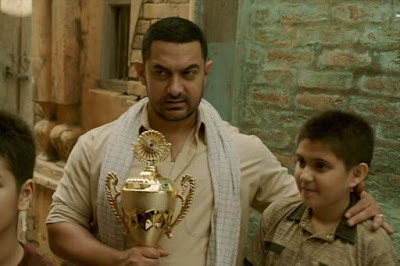 Aamir khan's recent released film "Dangal" is still doing an awesome box office business, it already entered in its 2nd week and its business remain super strong on 13th day at box office as per early reports from Morning shows. The has registered more than 60% occupancy at domestic market which is nearly similar as on previous day with few marginal drop here and there. The sports drama, directed by Nitesh Tiwari, added Rs 9.46 crore more to its total business on Day 13. The total domestic collection now stands at a staggering figure of Rs 304.14. Its really a big achievement as movie is entered in 300-crore club. Dangal movie has opened to around 40 to 50% occupancy in Morning shows at domestic market. Just because of great word of mouth the movie is still showing growth in box office business. The movie has surpassed all box office records now its next target is "Bajrangi Bhaijaan" and then the "PK" all time record. This movie is doing a great business from Delhi, Haryana and Uttar Pradesh, also enjoying a tax free status. Soon i will share more about its box office business.